Hey there, Brittany here from B.Hooked! 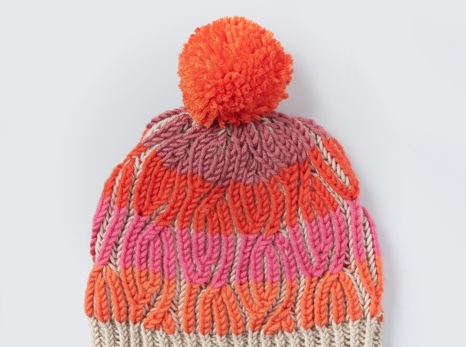 Today I simply can’t wait to share my little spin of the Caron x Pantone Polka-Dotty Crochet Hat with you. You have probably realized by now that I love playing with color and experimenting with patterns to create something unique. 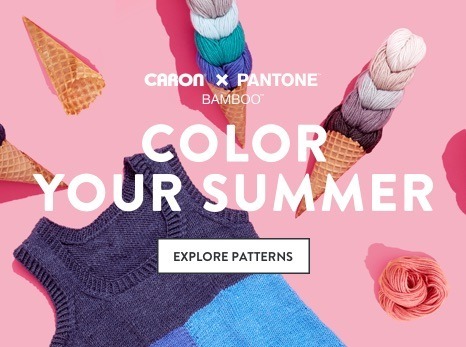 Since I’m able to mix and match dozens of color options, Caron x Pantone gives me the freedom to do just that – experiment and create something unique! I had a hard time visualizing this and I wasn’t sure how it would turn out, but my curiosity pushed me through. For my hat, I chose to use Olive Oil and Blueberry. At first, I was drawn to the ombre effect of each one individually; I didn’t put too much thought into how they would work together as a pair. But as I began to study the two side by side, I fell in love with this combination. At this stage, I didn’t really have a mental picture of what it would look like but I had to go with my gut and see it through. As a perpetual lover of blue, I wanted the blueberry colorway to make up the bulk of the hat. Because I loved the ombre in this colorway, I kept the color sections in the same order as they were arranged in the braids. This made it flow from dark to light as I moved through the pattern. As I worked through the colorwork portion of the pattern, I was surprised by how quickly the whole thing came together. Rather than work over my non-working color strands (and risk the contrast color showing through) I opted for a road less traveled in the world of crochet and held the non-working strand to the back to create floats. This is what it looks like on the inside. I think it’s neat enough to wear this side out! 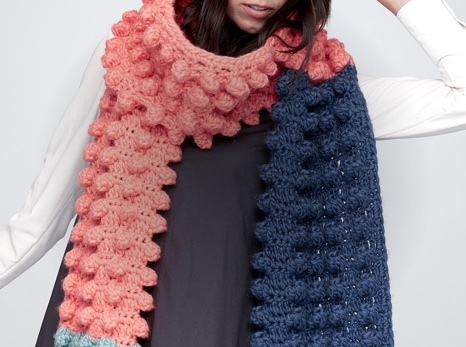 I have to say – out of all the experiments this year with patterns from Lookbooks, this one takes the cake in my book. If you’re looking for a hat pattern that will work up in a couple short evenings, allow you to express your unique color style and learn a new colorwork skill, look no further than the Polka-Dotty Crochet Hat! My video tutorial will walk you through the entire thing. Watch it below!